Ex-unit head complains of discrimination against non-Arabs and women, instructions to take a sharp slant against 'Hitler-like' Israel. The former head of Al Jazeera America's documentary unit announced a lawsuit against her former employer on Thursday, charging the American branch of the Qatar-based news network with a vitriolic bias against Israel, as well as discrimination against non-Arabs and women. Shannon High-Bassalik, who formerly worked with CNN, NBC and MSNBC, sued the company for discrimination after being fired in February only half way through her three-year contract, reports The Guardian. She charged the company with showing a blatant pro-Arab bias both in terms of employment and news coverage, with the most intense bias coming out against Israel. High-Bassalik said the company's investigative unit head tweeted "Israelis are like Hitler," showing the pronounced antagonism of the supposedly professionally neutral news company. And during last summer's counter-terror Operation Protective Edge in Gaza, she reported being told the mission was to portray Israel as the villain, and give an unfair slant in favor of the Arab and Muslim perspective of the conflict. Likewise she was told many Arabs think the US staged the 9/11 terrorist attacks in America as a pretext to launch a war against Arabs in the Middle East, and that Al Jazeera America should follow this conspiracy theory as a guiding tenet. Hiring practices also were allegedly guided by a similar bent, with High-Bassalik saying she was told to hire an Arab woman as a producer despite her lack of qualifications, and the fact that several non-Arab employees were ready for promotion. She reported a widespread review bias favoring Arab workers. The former unit head revealed how the recently fired chief executive of the company, Ehab Al Shihabi, would walk out on meetings when women were speaking, and admitted to taking a pro-Arab bias in his coverage. Al Shihabi was kicked out in early May, after another employee sued over allegedly being fired for complaining about a co-worker's anti-Semitic and sexist behavior. In the two weeks following, the vice-president of newsgathering, the head of human resources as well as the communications chief - all of whom happened to be non-Arab women - all stepped down. According to High-Bassalik, the news company's tone has turned more biased as its ratings plummet. 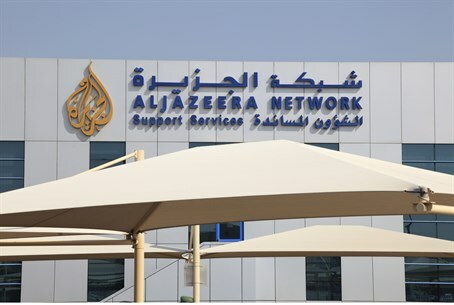 "As ratings failed to live up to the expectations of management, Al Jazeera openly decided to abandon all pretense of neutrality in favor of putting the Arabic viewpoint front and center, openly demanding that programs be aired that criticized countries such as America, Israel and Egypt,” read her lawsuit. She further revealed being told that if abandoning journalistic professionalism caused the channel to be regarding as terrorists, "that was an acceptable risk for the company to take."